Putting together a great team takes time. However you have to look for balance that complement each other. It’s important to balance both your team with personalities and work ethics that complement your personality and that of the others on the team. As a matter of fact, can you tell within the first five or 10 minutes whether or not you are excited with the person and the conversation> You gotta be excited when you see great talent. After the interviews is over and you have taken great notes you will know when you have picked the right talent, because you will be smiling from ear to ear. 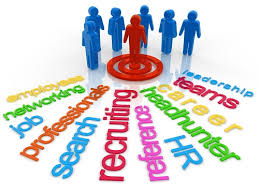 Below are some other elements that will help in hiring great talent.